Ever wonder what it would look like if some of the most famous Chicagoans could have taken a picture together? This cartoon style print aims to imagine that photo shoot in a unique and fun way. 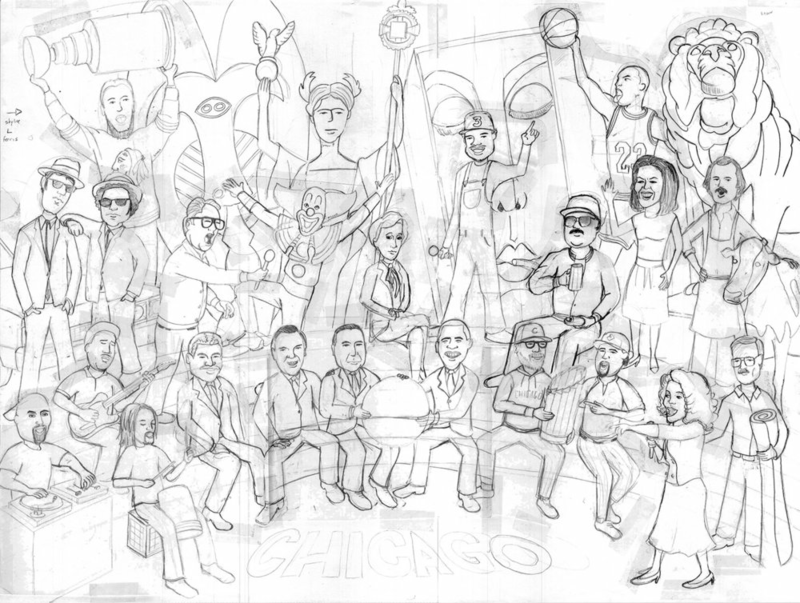 The characters range from former mayors to fictional characters to sports icons so you can see who has made Chicago great.